Callum Hudson-Odoi’s incredible week has just got a little bit wilder, with Manchester United reportedly entering the race to secure his signature. The Daily Mail claim that the Red Devils are yet another club who have been alerted to Hudson-Odoi’s precarious contract situation. Liverpool, Dortmund and Bayern are also linked in the report. Hudson-Odoi’s contract with Chelsea comes to an end in the summer of 2020, meaning we may be forced to cash-in this summer to avoid the possibility of losing him on a free transfer. We will remain hopeful that he will commit his future until the final possible moment, but even the most deluded Chelsea fan will admit that he would get more game-time elsewhere. 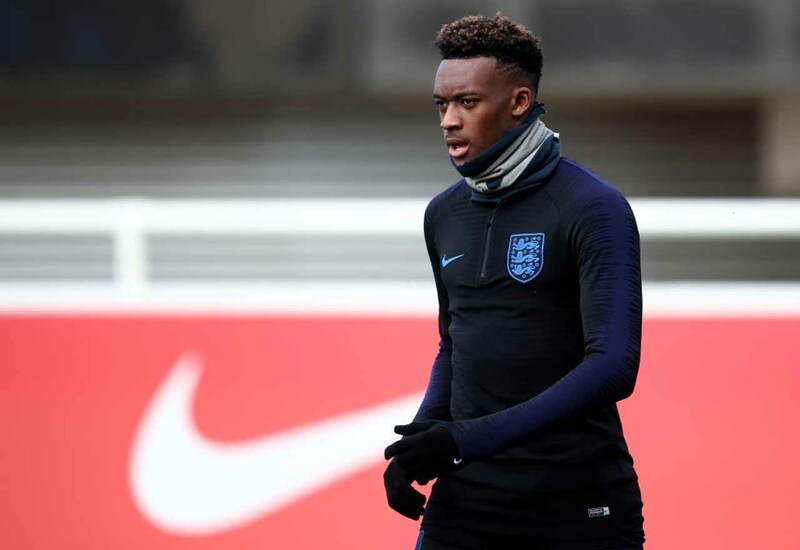 Having now made his international debut for England, Hudson-Odoi’s thirst for football will only increase from here. That could prove to be bad news for us, and encouragement for his suitors. Selling him to Dortmund or Bayern is an option that has to be considered at this point, but under no circumstances must interest from our Premier League rivals be entertained. Hudson-Odoi is destined to be one of the best players on the planet. It would be heartbreaking to see him fulfill his potential at Old Trafford or Anfield.